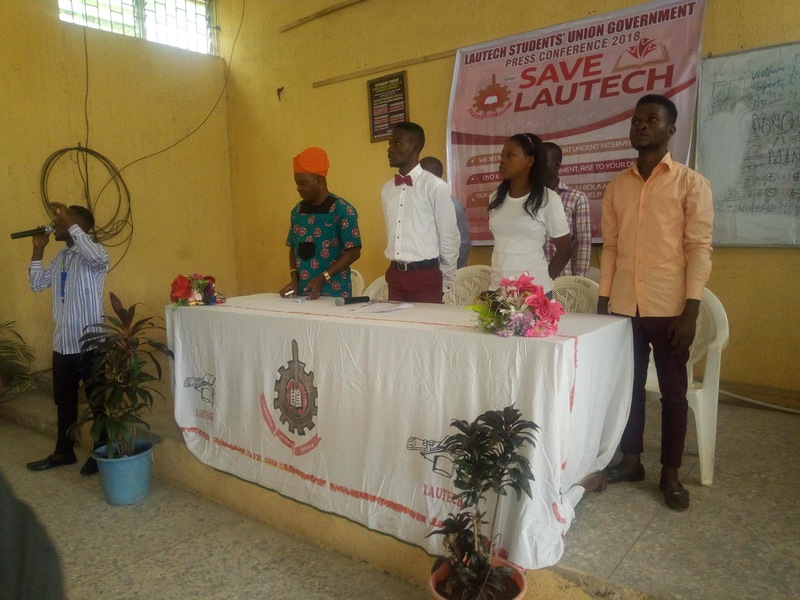 OGBOMOSO [LAUTECH] ON THE 17TH OF AUGUST, 2018.
two owners state government of the institution (Oyo and Osun State). be no better alternative to education in matters of human resource development. accomplishments, the institution suffers several problems that seems to know no end. institution threatens to bring the citadel of learning to its knees. Of all the issues the institution finds itself embroiled in presently, the most cogent of them requiring immediate and efficient tending to. - Unstable university academic calendar. - Infrequent payment of university workers’ salaries. becomes a very embarrassing situation when the two state governments fail to live up to their financial obligations owed the university. especially after each of the two states has established her own University, which has resulted to the neglect of the 27 years old University. • Incessant closure of the university. 1. Covering the cost accrued from conduction of examinations. 3. Payment of electricity bills. 5. Purchase of equipment and laboratory items. not to mention adding new expenses. become more substantial and reliable, stability must be accomplished and the incessant strikes the school suffers sporadically must stop. - Regular release of monthly subvention for prompt payment of salary. - Release of capital grant for infrastructural development. - Payment of all outstanding debts owed the university. level of the tertiary institution. commercial ventures which has virtually gone into extinction. 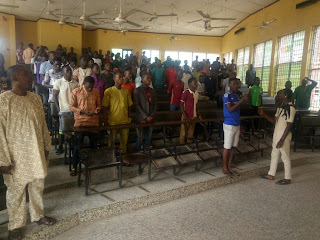 to lives of the over 35000 students of this institution, we cannot but to embark on a 10,000 students match to the federal capital territory Abuja to show to the entire world the act of callousness we suffered at the hands of the government of Oyo and Osun whose priority ought to be building a brighter and formidable future for this nation but has chosen to kill it instead. I can`t also be more overwhelmed but show joy and be strengthened by the determination of the media to present and report the truth about the state of imbroglio and entanglement of our citadel of learning Lautech. ALUTA CONTINUA !!! VICTORIA ASCERTA !! !